This 'click beetle' is easy to identify due to the light and dark stripes along the length of its elytra. In grasses and other vegetation and amongst crops. The larvae, commonly called wireworms, live underground for up to four years where they feed on the roots of many different plants. They can be pests by eating potatoes and other crops. Widespread and fairly common in England as far north as Staffordshire and Cheshire. Welsh records are mainly from costal areas. Only scattered and historical records in northern England and Scotland. Fairly frequent in Leicestershire and Rutland. 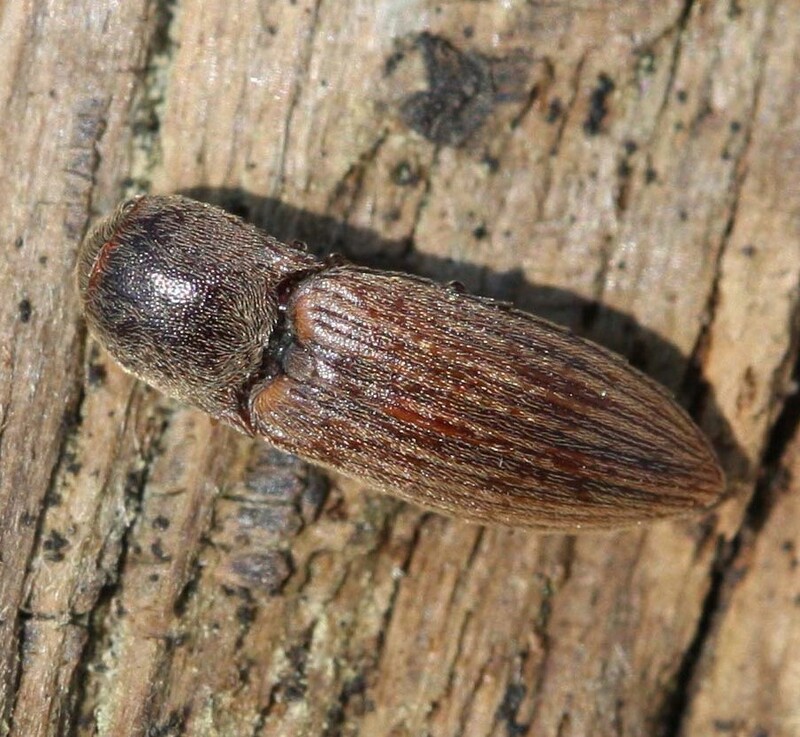 There were a total of 38 VC55 records for this species up to March 2015.